Take in the historical sights and immerse yourself in the past. 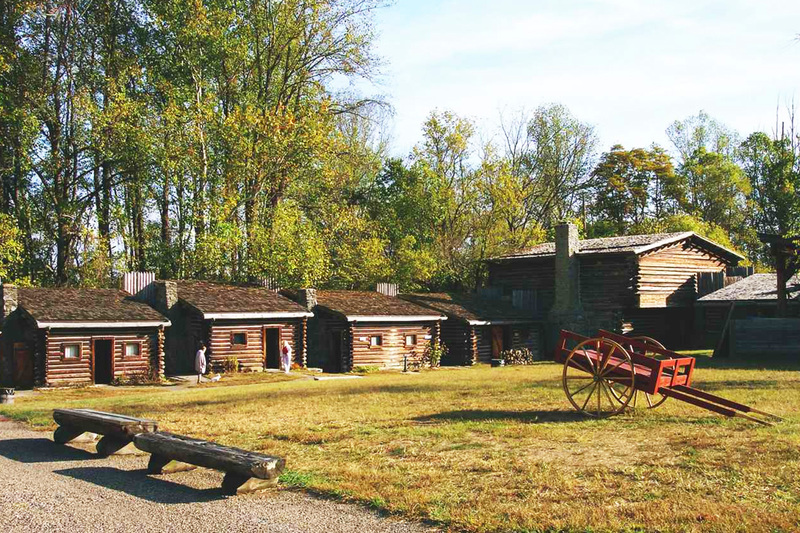 Fort Boonesborough is complete with cabins, blockhouses, and furnishings. Moreover, enjoy craft demonstrations as you get a glimpse of what life was like for pioneers. Fort Boonesborough is a historical Kentucky state park in Richmond. It’s known for the fort founded by Daniel Boone following the crossing of the Kentucky River on April 1, 1775. Fort Boonesborough hosts fun, as well as, educational events focused on settler activities. Find a little something for everyone! The Easter Bunny is coming to Richmond. The Fort is hosting Easter celebrations April 12 – 14. Visitors can participate in an Easter Egg Hunt. Also, enjoy a variety of fun activities such as bingo, Easter crafts, and free putt-putt. Please note, this event is for registered campers only. Engage in settler activities where women played a crucial role. Most importantly, learn new practical skills and historical facts about the women on the frontier. The whole family can participate in this interactive event. Pay the regular Fort admission to participate in the program. Quality Inn is a popular option for Fort Boonesborough visitors. Our hotel is conveniently located off interstate 75, just a short drive from the fort. Most importantly, find comfort in all our spacious rooms and suites. Also, enjoy a delicious complimentary hot breakfast in our dining room. SAVE 7% when you book through our website.